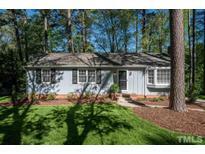 Below you can view all the homes for sale in the North Hills subdivision located in Raleigh North Carolina. 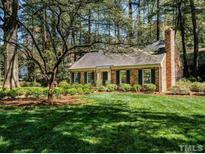 Listings in North Hills are updated daily from data we receive from the Raleigh multiple listing service. To learn more about any of these homes or to receive custom notifications when a new property is listed for sale in North Hills, give us a call at 919-928-5027. Don't miss 4th bedroom, full bath, laundry and exercise room downstairs MLS#2249326. 2017. A 1st floor bedroom, full bath & utility room provide all the conveniences of ranch style living, while the 2nd floor offers 3 additional bedrooms & a full bath. MLS#2248357. 1071. Other updates since '15 - new brick stoop, Bosch dishwasher, Stainless Steel fridge, int & ext paint, video sec System, & corian counters. Completely move-in ready! MLS#2247566. 2017. Over 1200 SF of walk-out daylight basement that could very easily be finished for 4th Bedroom, bath, playroom, and still have add'l storage! MLS#2244845. 1071. Two deck areas, great for entertaining! MLS#2239747. 1709. With a white picket fence...what more could you want? ! MLS#2242582. 1071. Encapsulated crawl space.Fireplace and screened porch MLS#2241162. 3313. Beautiful, rare flat lot w/newly paved driveway. MLS#2240787. 1071. Lower level features huge bonus Room w/ great closets & 2 bedrooms + bath. Custom outdoor grill & patio. MLS#2239817. 649. Features include built-in speakers in family room, chef's kitchen that features an island, granite countertops, a Bosch gas cooktop, and a Bosch dishwasher, hardwoods on the first floor, screen porch, large deck, fantastic backyard, a fireplace in the family room, built-in cabinets in the family room, spacious master suite with his and hers closets, a large master bath with separate tub and shower, and a double vanity sink. MLS#2237259. 1071.
room with cathedral ceilings, walk-in closets galore, and ample storage. Plan also offers optional elevator. MLS#2235475. 1071. Unfinished room over garage has many possibilities. MLS#2231126. 2006. Final Square Footage and pricing dependent on final plans and specifications. Please call with serious interest. MLS#2213894. 2292. Can't beat the location next to North Hills Park and other amenities. MLS#2207209. 4991. Spacious, landscaped, secure fenced yard, paver patio. MLS#2205038. 4467. Prime North Hills Location: Corner of Yadkin/Currituck; One owner, all brick, split level; typical North Hills construction: tile baths, hardwood floors; good for those tired of losing renovation candidates to tear-downs (several tear-downs have occurred within sight of this home and there was even one next door); North Hills location sells itself/good opportunity. MLS#2183789. 2016.